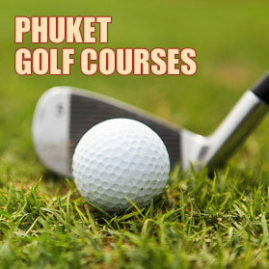 Phuket Restaurants - Where to eat out in Phuket, some great eateries not to be missed. As a visitor there can be no excuse for going hungry on Phuket as it can seem like every other building on the island is a restaurant. Whilst many are traditional Thai eateries, especially in the tourist areas almost every kind of eating establishment can be found from burger joints to up market French and Italian restaurants, from Korean BBQ’s to Mexican and of course a great variety of local Thai delights. Stroll along the beach front or down a side street and you will find something to suit every taste. 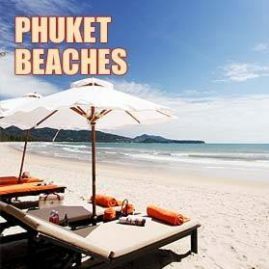 Most of Phuket’s beachfronts have a plethora of seafood restaurants aimed at both locals and tourists and are usually loaded up with the fresh catch of the day be it fresh fish (Snapper is a local favorite and well recommended), lobsters, mussels, prawns, crabs and much more. Most have menus in English and Thai and now many have Russian and Chinese too. We can only offer a taste of what awaits as we can’t get close to describing even a small percentage of what’s here but below are a few that we have enjoyed, they may not be the best or cheapest but, just simply that we liked them, meals were paid for in full and we have not been paid to recommend them. Phuket restaurants like other businesses here come and go and there are always new places opening up, We would encourage you to explore and try new experiences, it’s very likely that you may well discover a gem. The Baan Hat Rawai seafood restaurant is a favorite with both locals and visitors alike. 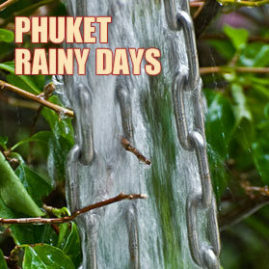 Situated at the end of Rawai beach it is located virtually right next to the seafront and has lovely views out to sea. You can enjoy a beautiful meal whilst looking at the sunlight glinting off the sea, the small tropical islands in the distance and the fishermen in their longtail boats puttering by, the scene is absolutely tropical idyll at it’s best. Whilst the restaurant does serve most of the Thai classics fresh Seafood is it’s specialty and the reason most of the customers go there. A great selection of fish, Prawns and squid are favorites. They can be cooked Thai style with herbs, garlic and spices or as-you-like-it. Menus are available in English and prices whilst not as cheap as they used to be are reasonable for the quality of food and location. One of my favourite Phuket restaurants, Le Celtique is not the easiest of restaurants to find but when you get there you will find that it was well worth it. Run by a French chef and his Thai wife the food is a delight and Lek the hostess does an truly excellent job of making you feel genuinely welcome and it is also abundantly obvious that the staff have been professionally trained. On my first visit I did wonder how a place so off the beaten track and with little advertising could be so busy but I soon realised that with the food and atmosphere so good, reasonable prices and very good service word had gotten around and you really can’t wait to go back. 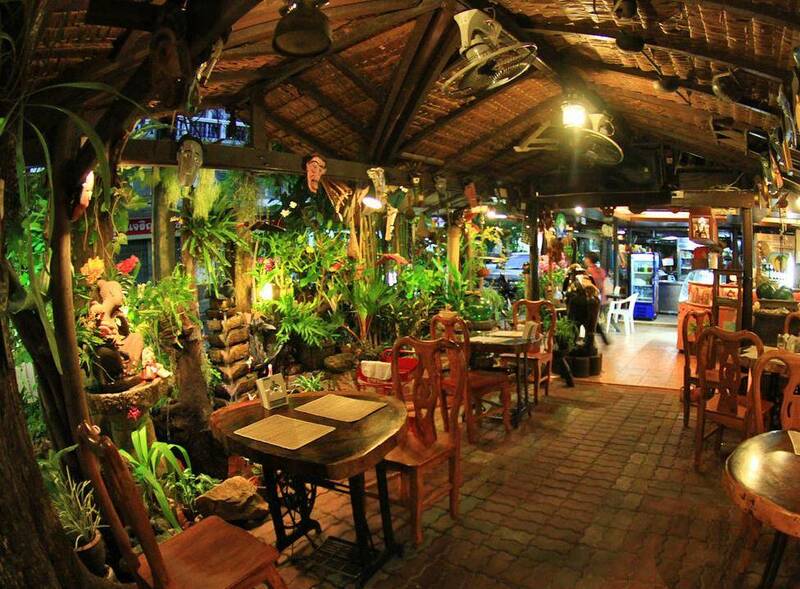 The restaurant is beautifully decorated with high quality furniture and a number of quality hardwood Buddhist and Thai style statues and 2 huge tropical fish tanks that really give the place some flair. 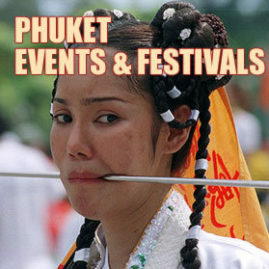 The menu is traditional French faire and very good quality, there are also a number of very nice Thai dishes. As you would expect in a French restaurant there is a decent selection of wine from France and also Chile, South Africa and Australia. Another personal favorite Phuket restaurant is Shakers in Rawai/Nai harn. After a successful decade in Patong Shakers relocated to Rawai/Naiharn at the end of 2014 bringing a much needed addition to the local restaurant scene. The menu is huge and the portions are anything but stingy. Western favorites like Pizza, Burgers and Steaks, Swiss style fondue’s, Thai food and great value daily specials ensure that there is something for every palette . There’s a selection of international beers plus the local favorites, a decent variety of wines as well as an extensive selection of cocktails and spirits. The Belgian owner and staff are friendly and helpful and there’s a great ambience with inside and outside dining and Sofa’s for an after dinner relaxing drink. I have no idea whether the Natural Restaurant is unique or not but there can’t be many like it. It is extraordinarily decorated and might best be described as a cross between a treehouse, antique shop and restaurant. Set on a number of floors and half floors and attached to the wooden walls old bicycles, what looks like an original Singer sewing machine, lots of plants and a mishmash of other memorabilia. Anywhere else it might look out of place but here it seems to create a memorable atmosphere, whenever I have taken friends they have always wanted to go back. The food is mainly Thai classics, with a large variety of seafood dishes (highly recommended) and some western favorites. If you go with others then I highly recommend ordering a number of dishes and sharing them ‘Thai Style’ even for those not used to it this is well suited to this type of restaurant, fun, different and something to talk about. The food and value for money is very good and menus in English are available. It used to be off the tourist trail but now it has been ‘discovered’ inevitably the prices have increased a little and the ubiquitous flower sellers appear now and again, having said that it is still a great place to visit and is situated in Soi Phuton, just off the Bangkok Road in Phuket town. Kan Eang 1 and 2 are 2 large and well situated seafood restaurants located on the seafront in Chalong. Kan Eang 1 is the easiest to find sited at the end of the Chalong Pier road on the right, it was renovated at some cost some years ago and offers a very scenic view across the bay. This is the more touristy of the 2 and prices reflect this, it has a large range of seafood dishes which they are happy to cook to your order. Kang Eang 2 is owned by the same family and located about 300 meters down the coast which is signposted from the Chaofa East road off of Chalong circle. Personally I prefer Kan Eang 2 as it’s more authentic, less touristy and more reasonably priced. It offers the same great vistas and you can watch the boats coming and going as you eat. Both restaurants have good parking which on Phuket can be a bonus and both have English menus and English speaking staff. Palai Seafood as the name suggests is another seafront sited seafood restaurant though a little off the beaten track and mostly frequented by locals. 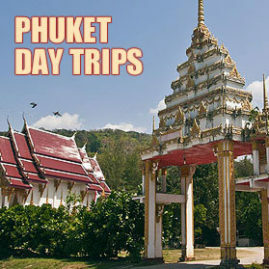 It is located right at the end of the Phuket Zoo road between Phuket town and Chalong off of the Chaofa East road. The seafood is fresh, often you can select the prawns, Lobsters, Crabs and Fish whilst they are still alive swimming in tanks. Standard Thai faire is also available for those not partial to seafood. Again it’s a nice location to look out at the islands and boats and across to Panwa whilst you dine and if there is a nice breeze blowing to cool things down a little so much the better. The prices are very reasonable and menus in English are available. The fresh seafood at the Koh Maprow (Coconut island) restaurants is OK, as are the service and prices but the main reason for visiting these 4 restaurants is their unusual position. They float just off the coast between Phuket’s eastern shore and Koh Maprow. It is a good location as the sea is shielded here and thus the waters are always becalmed. The views are splendid, out to sea and of the Coconuts trees of Maprow island little more than a stone’s throw away. The 4 floating restaurants are all similar to look at having grass roofs and basic tables and benches to sit at, it can be quite an experience. Fresh live seafood is kept in nets dropped into the sea until ready to be selected for dinner, the usual fish, crabs, squid and prawns being on the menu which is also available in English. Mostly frequented by locals as it’s not so easy to find though the current development of Koh Maprow is sure to introduce more tourists to this area. It can be reached by taking the turn off from Thepkrasattri road just outside of Phuket town and following the lane down to the sea front. There is a good sized car park at the Laem Hin pier. This one gets a mention for the unusual experience of eating your food while floating on a raft in the middle of a lake. Located in Kathu it is a good option if you are on a shopping trip to Central Festival, Big C or Tesco Lotus. The restaurant is off Wichitsongkram Road. If you drive from Central or Big C along Wichitsongkram Road towards Patong then after one kilometer there is an 'S' bend and right at the end of the bend is a red sign for the left hand turn to the restaurant. There is also a green sign to Sabai Spa. If you reach the 7-Eleven, you have gone too far. The restaurant has a peaceful lakeside location. As well as a seating area by the lake there are also four covered rafts floating on the lake. The rafts are attached to ropes that hang above the lake so you can pull the raft across. You sit on the floor of the raft around a low table. Once you have got your food and drink loaded up pull yourselves into the middle of the lake. You can also order some fish food (ah-hahn plah) to feed the fish that will crowd around the raft. They serve a good selection of seafood and classic Thai dishes. The food is reasonable but nothing special. The main selling point of the restaurant is the location. Most of the customers are Thai with a few ex-pats. They have an English language menu although most of the serving staff do not have very good English skills. This type of restaurant is known as ‘Korean Bar-B-Que’ style and has really taken off in Thailand in general and especially Phuket and are enormously popular with locals. You basically get to choose the raw food from a buffet table and then cook your choice at your own table. Each table has a kind of cooking pan that is cooked from below by a kind of BBQ, the charcoal burns heating up your pan where your vegetables cook around the outside and your meat on the raised middle. It’s quite a nice social way to eat with friends and usually extremely good value as prices are normally very cheap for an ‘all you can eat’ meal. A typical buffet might include prawns, squid, ham/pork, chicken, sausage, vegetables and side dishes. Also present and included in the price are herbs, spices, chilies, garlic e.t.c. to be added to your taste. No menu’s here as it is buffet style but feel free to tuck in to a bargain if you are adventurous.